This pre-conference session is complimentary to all attendees. This workshop will introduce the R toolchain with a hands-on example of importing market data, wrangling it into a tidy format, visualizing it, modeling it and then building an interactive dashboard with Shiny. We will cover a lot of code but participants will tackle a real world project using a bottom-to-top R workflow. Taught by RStudio! 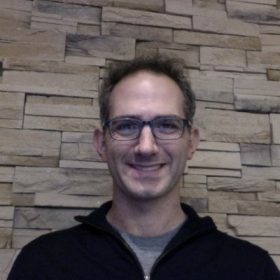 Director of Financial Services Practice, RStudio, Inc.
Jonathan Regenstein: Director of Financial Services Practice, RStudio, Inc.
Dr. Merav Ozair is a data scientist, a quant strategist and a Crypto/Blockchain expert, with more than 12 years of business and consulting experience. Her work and expertise have centered on Blockchain, Cryptocurrency, Global Financial Markets and its Market Microstructure. 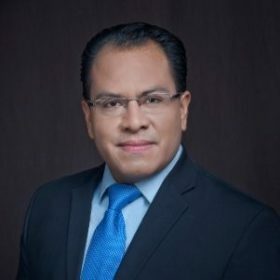 Dr.Ozair’s focus has been on developing innovative methodologies to evaluate the crypto market for Crypto Market Indexes and unique coin/token valuation. 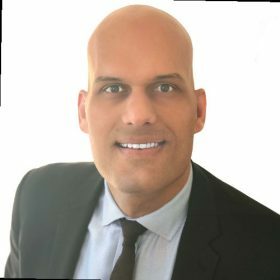 Dr. Ozair is the co-founder and the Director of Financial Product Research and Development at brX Labs, the R&D division at brX Exchange (a security token exchange). At brX Labs she is responsible for the quantitative and fundamental research on the blockchain and digital assets as well as the development of un-correlated tokenized synthetic instruments. 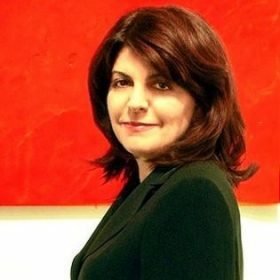 Her previous business experience includes developing business strategies to enhance business growth; evaluating the viability of potential public offerings; estimating the market value of business for M&A; performing fundamental and valuation analysis; developing models for performance attribution, and; developing quantitative trading and risk models. Dr. Ozair has over 15 years’ teaching experience and has been teaching at New York University. She earned her PhD in Finance from Stern Business School at NYU and her research interests include Blockchain, Cryptocurrnecies, Market Microstructure, Risk Modeling and Macroeconomics. 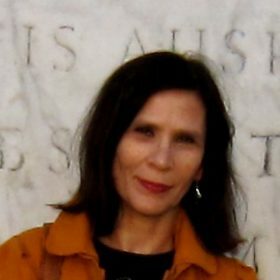 She also conducts workshops for financial professionals at New York Society of Security Analysts (NYSSA), and; webinars for Market Technicians Association (MTA), and for Professional Risk Management International Association (PRMIA). The first part of the talk will review the way the economic assumption of No Arbitrage combined to powerful results established in probability theory in a fairly recent past lead to a number of beautiful results in Quantitative Finance, in particular i) the existence of ‘pricing measures’ under which the prices of primitive securities – in the right numeraire – are martingales; ii) remaining under the physical measure P – the one under which big data are accumulated –, No Arbitrage implies that normality of asset returns can be recovered through a stochastic time change where the clock is driven by the order flow. The second part of the talk will discuss some key features of cryptocurrencies observed so far, and which methodology can be proposed to analyze this particular asset class stored in a new type of inventory called Blockchain. Helyette GEMAN is a Professor of Mathematical Finance at Birkbeck – University of London and at Johns Hopkins University. She is a Graduate of Ecole Normale Supérieure in Mathematics, holds a Masters degree in Theoretical Physics, a PhD in Probability from the University Pierre et Marie Curie and a PhD in Finance from the University Pantheon Sorbonne. 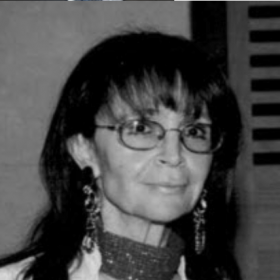 She has been a scientific advisor to a number of major energy and mining companies for the last 20 years, covering the trading of crude oil, natural gas, electricity as well as metals in companies such as EDF Trading, Louis Dreyfus or BHP Billiton and was named in 2004 in the Hall of Fame of Energy Risk. Prof Geman was previously the head of Research and Development at Caisse des Depots. She has published more than 140 papers in major finance journals including the Journal of Finance, Mathematical Finance, Journal of Financial Economics, Journal of Banking and Finance and Journal of Business. She has also written the book entitled Insurance and Weather Derivatives and is a Member of Honor of the French Society of Actuaries. Her research includes exotic option pricing for which she got the first prize of the Merrill Lynch awards, asset price modeling through the introduction of transaction time (JOF, 2000); she is one of the authors of the CGMY pure jump Levy model (2002). Prof Geman had organized in 2000 at College de France the first meeting of the Bachelier Finance Society, with Paul Samuelson, Robert Merton and Henry McKean as keynote speakers. Her book, ‘Commodities and Commodity Derivatives’ is the reference in the field. She was a Scientific Expert on Agriculture for the European Commission and is on the Board of the Bloomberg Commodity Index. 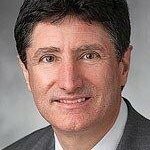 PETER AERNI is the Market and Counterparty Credit Risk Analytics executive for Bank of America’s Global Risk Analytics organization. In this role, Peter and his team are responsible for the analytics of the tradable assets and traded products risk measurement platforms of the bank used across market risk, counterparty credit risk, credit valuation adjustment and regulatory capital. This includes model development and maintenance. Peter joined Bank of America in April 2012 and has worked in the financial services industry for more than 20 years. Most recently, he served as the Counterparty Credit Risk Analytics and Portfolio Management executive. 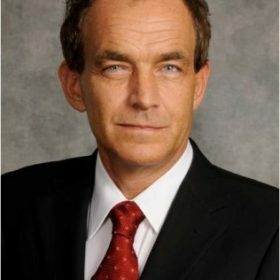 Prior to joining the bank, he was a senior managing director in the investment banking division at UBS and held several executive roles in the area of risk modeling and risk management, including serving as the Global Head of Credit Portfolio Management, the Global Head of Credit Risk Methodology, Co-Head of Risk Methodology and Global Head of Model Oversight. Before joining UBS, Peter held a research and teaching position at the Center for Economics at the University of Basel, Switzerland, where he specialized in game theory and financial markets microstructure. What are Quantitative Research Financial Services currently doing and what should they be doing to attract more female talent? What can Universities and Recruitment companies do to help? What strategies are financial companies using at present if any? What are Quantitative Research Financial Services currently doing and what should they be doing to retain female talent? What top positions besides Asset Management can Quantitative Finance- profiled women occupy? For each position open, the percentage of female CVs submitted is very small (if not none). Why is this happening and how can universities/headhunters/companies work together to improve the numbers? At more senior levels the number of women is even lower than at entry level which means that the female population retention rate is low or/and women are not being promoted. Discuss. Mentoring programmes that could specifically help Diversity & Inclusion. Are quantitative positions too specialised which prevents women (and men) to move horizontally to different (and possibly more senior) roles? Edith Mandel is a seasoned finance professional with 20 years of experience. She held a number of senior roles both on the sell and buy sides of the Fixed Income business. Edith has extensive hands-on experience in developing quantitative trading models, and building systematic risk-taking businesses from the ground up. As a principal at Greenwich Street Advisors, LLC, Edith advises both established participants in the Fixed Income market and those companies considering opportunities for expansion. As an expert in the Fixed Income market, Edith evaluates the opportunity cost, advises on trading infrastructure build-out, electronic and quantitative trading, risk management, alpha research and algorithmic execution. In the last two-and-a-half years, Edith Mandel was the head of Fixed Income Mid-Frequency Trading at KCG (formerly GETCO). While there, she spearheaded a development of a new quantitative and systematic business within the Global Fixed Income group. Edith started her professional career at Goldman Sachs, where she held a number of positions in the Fixed Income division. 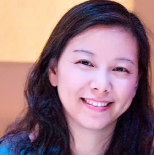 As a Managing Director, Edith ran a team of quantitative strategists responsible for algorithmic trading in US Treasuries and Swaps, for risk management of a broad set of interest rate products, including vanilla and exotic options, and for the development of a toolkit for systematic risk-taking. Prior to joining KCG, Edith Mandel worked at Citadel as a Managing Director, Head of Fixed Income Quantitative Research. There she was instrumental to a significant revamp and expansion of the Fixed-Income Asset Management business and a development of new profitable systematic trading strategies in liquid rates. Edith Mandel is a seasoned finance professional with over 18 years of experience. She held a number of senior roles both on the sell and buy sides of the Fixed Income business. MIN ZHANG is a Senior Quantitative Finance Manager at Bank of America, one of the world’s leading financial services companies. She leads a team of economists and econometricians in Enterprise Risk Analytics Group and is responsible for the oversight of Bank of America’s scenario generation functionality to provide a wide range of macroeconomic and market indices forecast for capital planning, financial planning, strategic planning and other risk management purposes. Min joined Bank of America in January 2007 after graduating from the University of Michigan – Ann Arbor. Min holds a PhD in Engineering and a MS in Statistics. She serves in the diversity and recruiting work streams of the bank’s Quant Council, committed to attracting and retaining diversified quantitative talents for the firm. In the 2 years Dr. Carr been FRE dept. chair, applications increased from 1,300 per year to 1,900 per year. The number of FRE Masters students in residence was the highest in any 2-year period. For the incoming 2018 class, current verbal GRE is 169/170 and GPA is 3.82. FRE moved up in Quantnet rankings both years. An online summer course was initiated last summer and an on-campus bootcamp will be initiated this summer. Six electives on machine learning in finance were introduced. The distance learning room will become operational this summer. Soumya Kalra is currently a quantitative analyst the within the Market Risk Group for Supervision at the New York Federal Reserve Bank. Previously she worked as a researcher at the Office of Financial Research at the Department of Treasury focusing covering commodities and private funds from a financial stability perspective. 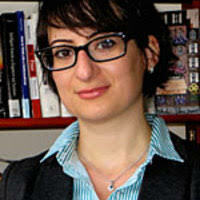 She is very passionate about using R in the statistical and data visualization work she performs in her current role. Her vision for R-Ladies New York is to create gender diverse and open forum where we can educate and contribute to the development of R as a community. She holds a Masters in Mathematical Finance and a Bachelor’s degree in Economics from Rutgers University. 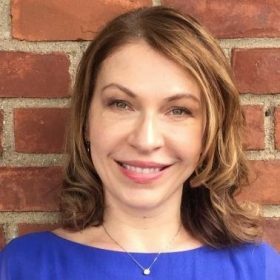 Ioana is the Quantitative Research Lead at Citadel LLC in New York specializing in Interest Rate Options within the Global Fixed Income Fund. I have a Ph.D. in Computer Science from Purdue University. In addition, I have completed graduate coursework in Financial Mathematics at NYU and Big Data at Harvard University. Prior to joining Citadel, I was a Director in the Global Markets Division at BNP Paribas where I managed the Interest Rate Options & Inflation quantitative research team. Before transitioning into Finance, I was a research staff member at the IBM T. J. Watson Research Center. I am a Senior Associate Knowledge Engineer in Technology Strategy & Innovation at theFederal Reserve Bank of New York where I conduct research in semantic web technologies and text analytics for structuring financial data. Previously, I was an Assistant Professor in the Computer Science Department at Hofstra University in Hempstead, NY and a Member of Technical Staff at Bell Labs in Murray Hill, NJ. I have also taught as an Adjunct Professor at Columbia University twice. I received my PhD in Computer Science from Columbia University in 2008, where I worked in theIRT Lab under the advisment of Henning Schulzrinne. Harish Sharma is the Model Risk Officer (MRO) for the Bank of America Consumer and GWIM businesses. Prior to joining Bank of America in April 2017, Harish was the Head of Independent Model review as well as Model Risk Governance for HSBC North America responsible for organization-wide management of model risk covering credit risk, market risk, operational risk, liquidity risk, funding risk, marketing & strategy, asset liability management, stress testing, asset allocation, fraud & BSA/AML models. Prior to joining HSBC in 2006, Harish worked at Capital One in the credit policy team focusing on analytics and strategy related to sub-prime and prime credit cards. Harish completed his B.Tech. in Mechanical Engineering from IIT Delhi and MBA in Finance from IIM Ahmedabad. In addition, Harish is CFA and FRM certified. 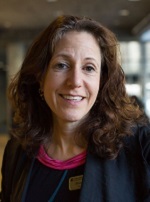 Nancy Davis founded Quadratic Capital Management in 2013. 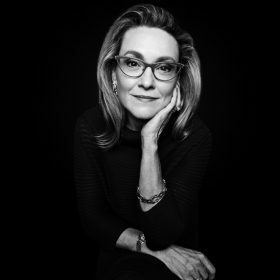 Ms. Davis began her career at Goldman Sachs where she spent nearly ten years, the last seven at the proprietary trading group where she rose to become the Head of Credit, Derivatives and OTC Trading. Prior to starting Quadratic, she served as a portfolio manager at Highbridge where she managed $500 million of capital in a derivatives-only portfolio. She later served in a senior executive role at AllianceBernstein. Ms. Davis writes and speaks frequently about markets and investing. She has been published in Institutional Investor, Absolute Return and Financial News, and has contributed papers to two books. She has been interviewed by The Economist, The Wall Street Journal, The Financial Times, New York Magazine and Le Figaro. Ms. Davis has also appeared on CNBC, CNN, Reuters, Sina, Bloomberg and MSNBC. Cyber Risk is one of the most dynamic and complex business issues that effect every aspect of business. Digital transformation has enabled the evolution of cyber risk. Board members and executives are responsible for understanding and managing this risk in financial terms. In the networked economy, connected organizations also have to manage third party risk, which means all organizations much define their cyber hygiene and cyber risk utilizing defined frameworks. Rating agencies are beginning to use a credit-rating expertise to evaluate organizations by their potential cyber risk impact, and including cyber risk into credit ratings. Financial institutions and insurance companies operating in New York must comply with New York’s Cybersecurity Regulations and the SEC has provided guidance on reporting on cyber risk for public companies. 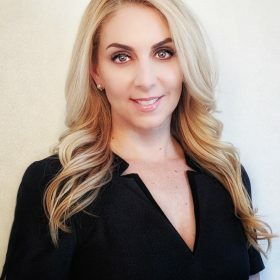 Cristina Dolan is CEO of Insidechains, Co-Founder and CEO of SDX, Safety Data Exchange, data marketplace utilizing blockchain, CyberSecurity, AI, IoT and Telematics to power new insurance solutions. She is a Technology Consultant to Additum, an European ‘Value Based Healthcare’ utilizing reward tokens to improve patient outcomes and Co-Founder of iXLedger, a blockchain enabled insurance marketplace. In addition to being an MIT Media Lab alumna, engineer and Internet pioneer, she has over two decades of experience building software, Internet, AI, IoT, CyberSecurity, InsurTech and FinTech related businesses. She was a co-founder of OneMain.com, which grew to be the 10th largest ISP after a successful IPO (Acquired by Earthlink). Formerly, Ms. Dolan held executive roles Disney, Hearst, IBM and Oracle. She is a member of Forbes Technology Council and the Vice Chair and former Chair of the MIT Enterprise Forum in New York, where she hosted several blockchain and fintech events with industry leaders. The award-winning student competition she founded, Dream it. Code it. Win it., was the subject of her TEDx Talk, Just Solve It. She earned a Master’s Degree from the MIT Media Lab and holds a Master of Computer Science and Bachelors of Electrical Engineering with concentrations in Computer Science, Data Communications and Business. Can Machine Learning Predict Realized Variance? Volatility index (VIX) construction and Realized Variance (RV) prediction. Can machine learning improve the prediction of RV and thereby improve the construction of a volatility index? Do you think that being a woman is a significant factor in slowing down career progression in Quantitative Research Financial Services? If so, could this be avoided and how? Have you benefited from any such schemes? What mentoring programs are available for juniors if any? Is it still hard to make it to the top positions, if so why and what can be done to change the situation? 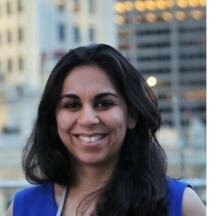 Prema is a co-founder and Partner of Quantamize. She is responsible for overseeing operations and administrative functions at Quantamize. She is a senior executive with extensive leadership, board, and advisory experience. Prema has been involved in the mutual fund industry for more than 20 years. She is an independent director of Invesco Funds, where she chairs the Valuation, Distribution and Proxy Committee and is Vice Chair of the Governance Committee. She is a former board member of the YWCA Retirement Fund, and the New York Metropolitan Transportation Authority (MTA) during the time when the EZ pass and MetroCard were developed and implemented. Prema was formerly CEO of the largest women’s organization, the YWCA of USA (2 million members in over 4000 communities), where she led its organizational transformation and return to financial stability. While CEO, she instituted an innovative program for girls in science and technology in collaboration with NASA, and other ground-breaking programs for women and girls in partnership with major corporations such as Nike, 3Com, IBM, Merrill Lynch. Previously, she was the Commissioner of the New York City Department for Aging, the largest area agency in the country, serving over 1.3 million New Yorkers. 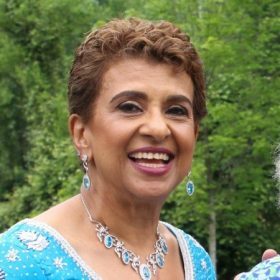 She was the Founder and CEO of the Community Agency for Senior Citizens, known for its pioneering programs for seniors, including the first private-public partnership to create affordable senior housing. Prema also developed the Geriatric-Gerontology Center for the Mount Sinai School of Medicine-Hunter College in NYC, one of the first four long-term care geriatric centers in the United States. Prema has advised leaders of Fortune 500 companies and worked closely with the US Congress and the White House during the 1990s to develop legislation and policies affecting the lives of families, women, and girls. She is the recipient of numerous leadership awards, including women in business and humanitarian awards. Prema has a Doctorate in Education from Harvard University, and served on the Editorial Board of the Harvard Educational Review. She has an MS and BS from Delhi University and was the recipient of the Chancellor’s Gold Medal for Outstanding Scholar. 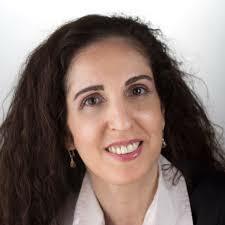 Sharon has combined experience in business strategy and technical research. Prior to joining the Institute, Sharon spent 11 years at BAE Systems identifying and pursuing new business opportunities in leading edge technology. Her expertise is establishing long term customer relationships to grow and develop new business. Sharon is skilled in orchestrating research aligned to customer needs in order to promote the funding of new business. She began her career at Bell Laboratories managing and coordinating material characterization as well as developing new and innovative tools to control processing and provide profitable laser packages for the optical communications business. Sharon moved on to become the Strategic Marketing Manager at Lucent/Agere with a variety of responsibilities: from leading the technical evaluation of merger and acquisition candidates to defining product planning for the optical networking group and components. She holds multiple patents from both her time at BAE Systems as well as Lucent. Sharon received a Bachelor of Science in Physics from State University of NY at Binghamton and a Masters of Science in Physics from Stevens Institute of Technology. Veronica G. Artof leads the Production and Change Management team within Global Risk Analytics’ Mortgage Data & Reporting group. The team is responsible for provisioning data & executing key reports utilized in the mortgage loss forecasting process. Artof is also responsible for leading change and project management efforts across the entire Data & Reporting group, coordinating with key stakeholders including Model Development, Model Implementation, Model Execution and Forecast Administration teams. Artof joined Bank of America in 2007 as a Senior Development Lead with Countrywide Capital Markets. She has held software development and operations leadership positions in Capital Markets, GT&O and Global Risk Analytics. Artof previously served as the co-chair for Lead for Women Ventura County and continues to be actively involved in Bank of America’s HOLA and Lead for Women employee networks. Artof holds a Master’s degree in Computer Science from the University of California Irvine, with a specialization in Software processes, and a Bachelor’s degree in Engineering from the National Polytechnic Institute in Mexico City. Artof resides in Westlake Village, California with her family, where she volunteers at her son’s elementary school.